Before our trip back from the 2010 How Conference we took a few minutes to wrap up the experience just outside of the closing keynote. Amy Hawk, Stefan Mumaw of Reign, Justin Ahrens of Rule 29, and Von Glitschka all stop by as well. If you want more, follow Justin’s Designer Sobriety, get Von’s amazing presentation, or learn more about Stefan’s session. 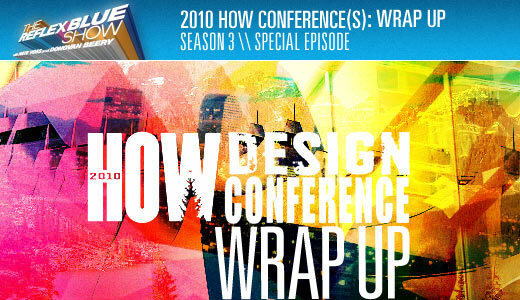 Download The Reflex Blue Show, 2010 HOW Conference Special: WRAP UP or, click here to subscribe to The Reflex Blue Show from the iTunes Music Store.